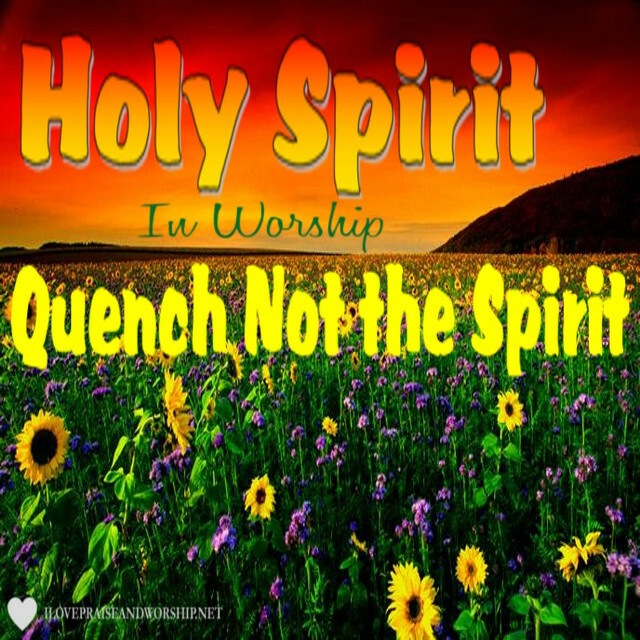 In Worship, Quench not the Spirit! We down and worship the Lord! We crown Him the King! Give the Lord your very best praise today! Have you sense by the Holy Spirit that you should bow in worship service? You did not bow, because others in your church do not bow in their expression of worship. What does the word ‘quench’ means to you? We are told not to extinguish, put out, or snuff out the Fire of God; which is the Holy Spirit. He [the Holy Spirit] leads us in worship, and help with our daily lives. The Message Bible uses the word suppress. This word means to prevent the development, action, or expression of (a feeling, impulse, idea, etc.). Too many of us (because I use to do the same) restrain God’s presence, when we have a strong desire to sense it. Our inward man fellowship with the Holy Spirit all of the time, but we do not recognize it. I encourage you to stay tune to the God’s channel of faith – only through your active involvement of praise and worship. So next time, the Holy Spirit tells you something to do. You should listen. Amen! The Greater One lives on the inside of you. Listen out for His lead, until Jesus Christ returns. He is coming soon. If I have been a Blessing to You, by Using This Link to Amazon.com, it will Support My Blog for Upgrade. Thanks!